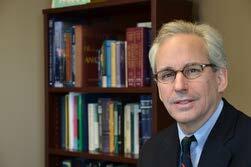 FACS designates a physician as a Fellow of the American College of Surgeons. Members of the American College of Surgeons are referred to as “Fellows.” The letters FACS (Fellow, American College of Surgeons) after a surgeon’s name mean that the surgeon’s education and training, professional qualifications, surgical competence, and ethical conduct have passed a rigorous evaluation, and have been found to be consistent with the high standards established and demanded by the College. The FAAP designation after a pediatrician’s name stands for Fellow of the American Academy of Pediatrics. Pediatricians who maintain their FAAP designation have obtained board certification in pediatrics and made an ongoing commitment to lifelong learning and advocacy for children. Dr. Alexander’s exceptional training and experience are exceeded only by the compassion and caring he displays when treating his young patients. Nationally recognized as one of America’s Top Doctors by Castle-Connelly for the past two decades, and a regional top doctor in cancer, and top doctor in New York and New Jersey, he specializes in inflammatory bowel disease, gastrointestinal issues of all types, neonatal and laparoscopic surgery and solid tumors in children. Dr. Alexander was Chief of Pediatric Surgery at the Cleveland Clinic for 15 years, and Chief of Pediatric Surgery at Hackensack University Medical Center for 5 years. During this time, he has successfully performed more than 18,000 operations. He is known for his meticulous attention to detail, and his success rates exceed national standards allowing his young patients to return to school and other activities in a shorter time span thanks to smaller incisions, less pain, and shorter hospital stays. After earning his medical degree from Columbia University, Dr. Alexander went on to complete his surgical training at the Brigham Women’s Hospital, Harvard Medical School in Boston, and a pediatric surgical fellowship at Cincinnati Children’s Hospital (the latter institution was cited as one of the top three children’s hospitals in the country by U.S. News and World Report). 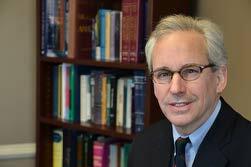 In addition to his clinical practice, he has made a number of original contributions to the field of pediatric surgery, and has published 60 peer-reviewed articles and 20 book chapters, for which he was appointed Clinical Professor of Surgery at the Cleveland Clinic. Dr. Alexander is board-certified by the National Board of Medical Examiners and a diplomate of the American Board of Surgery for Pediatric Surgery. He is also a fellow of the American College of Surgeons, a surgical section of the American Academy of Pediatrics, and the American Pediatric Surgical Association. Now in independent practice, he has surgical privileges at Hackensack University Medical Center, The Valley Hospital, Palisades Medical Center, Holy Name Medical Center, and Englewood Hospital and Medical Center.